Hand In Hand 2018 All recorded talks USB is a talk recorded at Childrens Ministry Conference - 2018 on Children's Ministry available as USB Stick format. 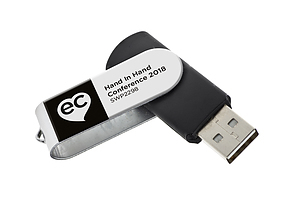 A great value USB resource containing all of the recorded teaching, a total of 33 talks, from the 2018 Hand In Hand conference on MP3. Speakers include Rachel Turner, Dave Roberts, Olly Goldenberg, Dave Gidney, Ian White, Heather Thompson and Adele Waller. Be the first to review Hand In Hand 2018 All recorded talks USB a talk from Childrens Ministry Conference! Got a question? No problem! Just click here to ask us about Hand In Hand 2018 All recorded talks USB a talk from Childrens Ministry Conference.